Finding the perfect Christmas gift is hard enough, but finding the perfect Christmas gift without breaking the bank seems nearly impossible. If you’re operating on a budget this holiday season, see if any of these affordable gift ideas will fit the loved ones in your life – and on your Christmas list. 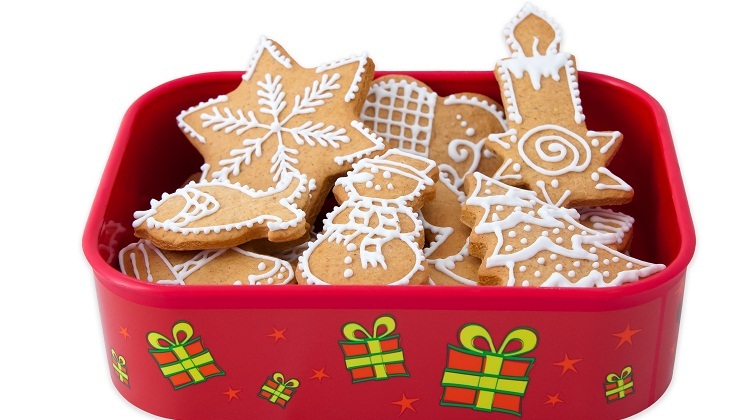 If you like to cook or bake, try applying your culinary talents to your Christmas gift. Box up a package of your best sweets for a gift that is as edible as it is thoughtful. Bake up your family member’s favorite pie for a taste of Christmas tradition. Plus, if you’ll be visiting a friend’s or relative’s house for the holiday, your delectable dish can double as a party favor and be enjoyed by all your fellow attendees. They’re the holiday staple that recipients can use for years to come – ornaments. Thankfully, buying a special Christmas tree adornment doesn’t have to cost you a lot. Ornaments come in a variety of shapes and sizes and many are available for less than $10. For something heartfelt, pick an ornament that symbolizes your relationship with the recipient. Gift cards – they’re the perfect way to give the people you love the ability to spend money on themselves at their favorite store, restaurant or other retailer. Gift cards are an easy and practical gift idea, but did you know they can also be affordable? No. 3 on our list, these popular gifts are appealing because they’re available in varying increments. Depending on which retailer you select, you can decide exactly how much you’re willing to spend. Walmart, for example, allows shoppers to choose their own amount to load on the gift card, from as low as $10 to as much as $1,000. And gift cards can be digital, too. Apple, for example, allows customers to send iTunes Gifts via email. Senders can select any whole dollar amount from $10 to $100. Recipients will then be able to redeem the gift on songs, movies, TV shows, apps and more from the iTunes store. Whether the person on your list is still in school or works in a business environment, office supplies are a perfect go-to gift. Stock up on relatively inexpensive items such as pens, pencils, folders, notebooks and sticky notes. You can even pick a few different items and group them together into an office supply basket. Your gift is sure to be put to good use. If the people on your list have an affinity for java, you can’t go wrong with a coffee mug or a bag of coffee. For a thoughtful arrangement, put the two together. Or if you really want to set your gift apart, some retailers – such as Walgreens and Shutterfly – allow customers to personalize mugs with pictures and/or text. The people on your list who are the most difficult to shop for are likely the ones who already have everything. So how do you decide what to buy for someone who seems to have it all? Try sticking to the basics. Cold-weather necessities – such as socks, gloves and hats – are not only practical; they’re also affordable. You can never have too many of such accessories, and with the wide variety of colors and designs available, you’ll be sure to find something to fit anyone’s style. Finally, you can’t go wrong with a handmade or homemade Christmas gift. Visit your local craft store or use supplies you already have around the house to create your very own wreath, ornament, household decoration or other knickknack. If you’re in need of a little inspiration, head to social media site Pinterest for clever arts-and-crafts ideas.